The research for the origin of the casting defects and their prevention are two of the main reasons why you may want to simulate numerically a foundry process. Technical experts in this field are generally able to achieve good results, thanks to their experience, to a good design of the mold and to a careful choice of the parameters of the process, but only a thorough study using a special software allows to minimize these impurities. 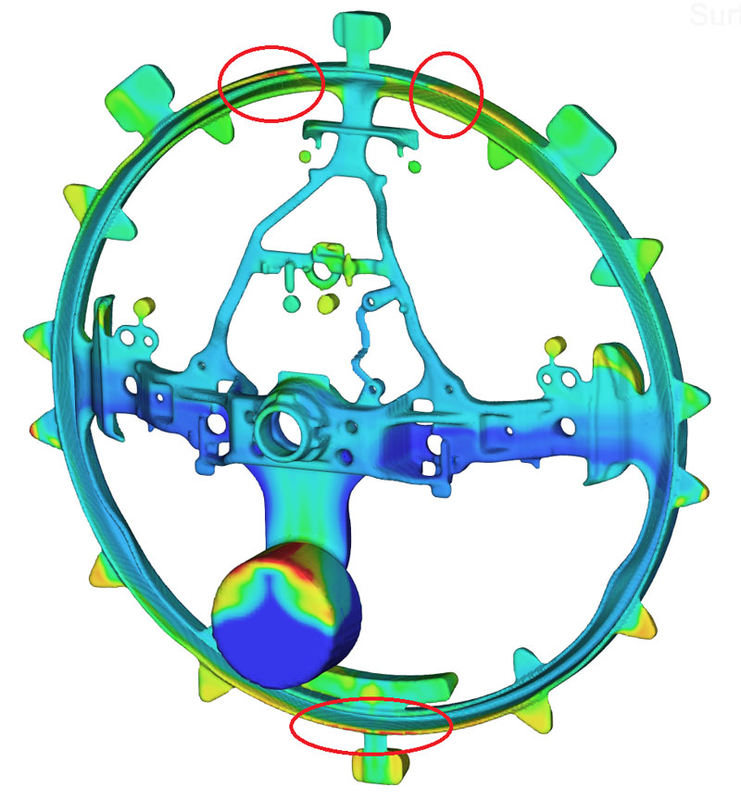 XC Engineering provides a valid support for their customers using the software FLOW-3D Cast, with which becomes simple to perform the most accurate analysis of multiple types of defects typical of the foundry field. During the filling multiple impurities may be collected, which can decrease the quality of the final piece. Typical phenomena that can be simulated are the entrained air, the oxidation of the metal and the gases released by sand molds, but it is also possible to estimate the erosion of the mold due to the cavitation of the liquid metal and many other interesting parameters. Simulating the solidification phase it is possible to predict the defects related to the shrinkage of the metal (macro-porosity and micro-porosity), dendritic structures, decomposition of the alloy and the efforts and deformations that arise in the mold and the piece due to temperature variations.